Property values in San Francisco are some of the highest in the nation, and price growth in the city by the Bay has outpaced the rest of the country by 260 percentage points over the past 40 years. The market is now overvalued to the point where a small home in ruins is being priced at $800,000. San Francisco Realtor Jim Laufenberg talked with Business Insider about his listing on 121 Gates Street in Bernal Heights, an area that Laufenberg says is bustling with small markets, cafes, restaurants and nail salons. Before and after the fire. 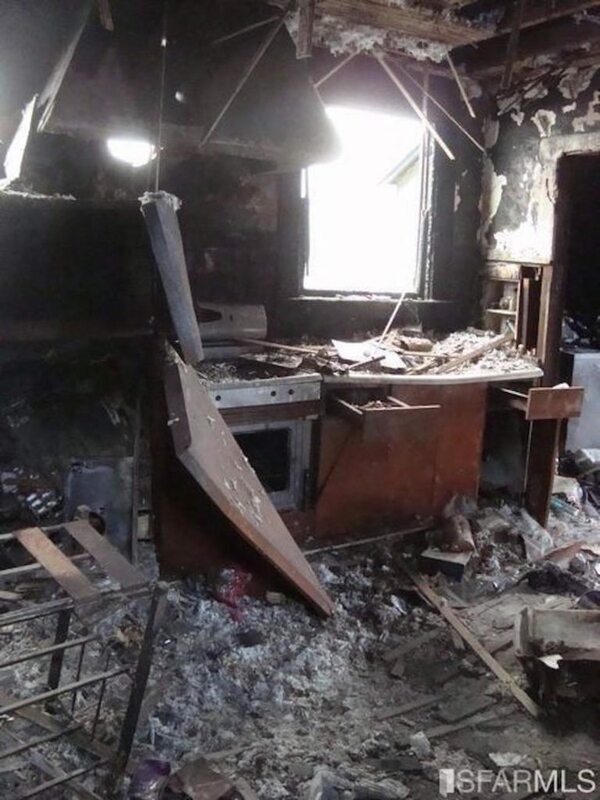 The one-bedroom, one-bathroom home was destroyed in 2016 by a fire caused by a wall-mounted gas heater. MLS photos show a large hole in the upper right-hand side of the roof, charred walls and blackened household items strewn about. One of the only recognizable items in the home is a retro oven and stovetop where the kitchen once stood. Photo credit: Jim Laufenberg and the SFAR MLS. Although the home is essentially a 1,700 square foot heap of rubble, Laufenberg says he expects that plenty of potential buyers will be making competitive offers. “I suspect it will sell for more than what I’m asking,” he told Business Insider, noting that the owners purposely listed the property below value to gain interest.